Summertime fun can add up quickly when you are on a family vacation. Between dining out, hotel stays, and costly activities, you may find yourself sweating your vacation savings. But, before you drain your bank account, check out some of Virginia’s best FREE family activities. That’s right, put your pocketbook away and relax. This one’s on them. 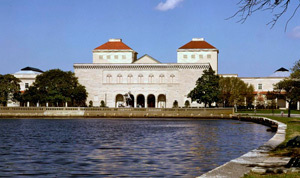 As of September 2009, admission to the Chrysler Museum of Art in Norfolk is – drum roll, please,– free! The museum highlights an incredible art museum with a distinguished permanent collection as well as a program of changing exhibits and educational activities, and two historic houses. Current exhibits include Cameo Performances: Masterpieces of Cameo Glass from the Chrysler’s Collection; Moses Myers, Maritime Merchant; and, Class Pictures, photographs by Dawoud Bey.